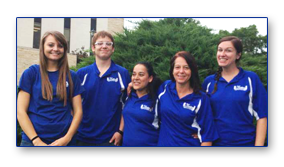 Mastery Moving is a Topeka-based business run by terrific folks who are passionate about making their clients’ moves as stress-free as possible. Jim has been in the moving business for over 35 years and Mastery Moving has been open for over 25 of those years. Jim and Tish have a loyal, deeply satisfied customer base due to the integrity and professionalism consistently exhibited throughout each phase of the moving relationship. The raving fans of Mastery Moving serve as a fantastic source of personal-experience referrals. Jim also has a great relationship with the local business community. Jim’s reputation in the business community is top-notch. Jim has forged strategic partnerships throughout Kansas in order to coordinate on-going commercial moving needs and nurture the skills required to ensure a mutual client and customer base is well served. With over a decade of commercial move experience, you can rest assured that Mastery Moving is well equipped to handle commercial moves of all sizes, both office and industrial locations, new or established businesses. All Mastery Moving team members have worked personally with Jim and Tish for long periods of time, are drug free, and have passed background checks. Jim demands excellence in those he trains and works with each employee to establish good habits that will help them in their lives, long after their work with Mastery Moving is complete. It is important to Jim that prospective clients understand that the same person who founded Mastery Moving is still in charge. Longevity of personal experience, as well as the fact that Mastery Moving has remained in continual business for almost three decades, are facts you can rely on when you make a choice in the one you trust to help you move. Jim manages Mastery Moving today with the same keystones of compassion and work ethic which made him an invaluable employee before he opened Mastery Moving. Jim grew up in Africa and North Carolina as a missionary kid and attended college at John Brown University on a soccer scholarship. Once Jim landed in Topeka, he started his moving career as a laborer for a local moving company. Over the next ten years, Jim discovered he loved helping folks move and became an invaluable employee, yet his long-term dream was to own his own moving company. Eventually, Jim took a night-shift job at UPS so he could focus on building his own moving company during the day. By 1994, Mastery Moving Inc. was up and running! His employers blessed his plans and paid him a high compliment: they referred some of their own clients his way. 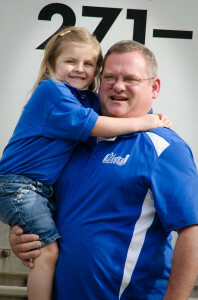 Jim loves being in the moving business and enjoys working for his clients. Jim’s legacy goal is to have been able to positively touch the lives of every client and customer who come into contact with Mastery Moving. Jim is a firm believer that the best way to work is to act like an owner before you are an owner. Jim encourages all prospective business owners to forge a good mental attitude as early as possible. Jim knew he could make it as a business owner because he treated the company he worked for with a vested interest in its success. Jim’s advice to all new employees is this: Be the best employee your employer ever hires. Make it easy on others to view their time working with you as a fantastic experience. Build a level of relationship and trust so that if you ever decide you want to leave and launch your own business, you will receive referrals from those you have met along the way. Jim’s proudest personal achievements include being a founding member of Heritage Christian School as well as the proud father of two grown daughters. He also adores his grand-daughter and is devoted to his lovely wife and partner in both life and business, Tish. Tish was born and raised in Topeka, Kansas. Tish is the proud daughter of a US Veteran and loves the fact that all of her family resides in Topeka. Tish brings extensive administrative experience to Mastery Moving and her experience keeps the Mastery Moving office running smoothly. Her vision for the future keeps Mastery Moving on a path for growth. Tish is in charge of all of the office work at Mastery Moving. She is the direct supervisor over the all-woman packing teams for Mastery Moving clients. Tish also oversees all specialty packing, crating, and shipping services to all auction houses, such as Christie’s. 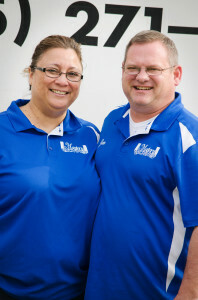 Tish loves working with her husband; Tish enjoys getting to interact with the public. In addition to meeting with prospects, Tish can often be seen meeting with business clients and residential customers. Tish takes great pride on how often she receives feedback from her client base that Jim and Mastery Moving continually provide excellent service. Payment: A deposit may be required. We accept checks, cash, Visa, or MasterCard, and the balance is expected when the work is completed and approved. Laborers: Our Workers have worked with us for a long period of time, are drug free, and have passed background checks. 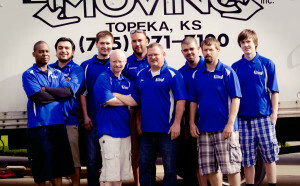 I wouldn't make a local move without the efficient, friendly help of MASTERY MOVING! Over the years they have helped me with at least two office moves, two home moves and have even helped my son move just a few pieces of furniture from one apartment to another. It seems no job is too big or too small for them to handle with ease.